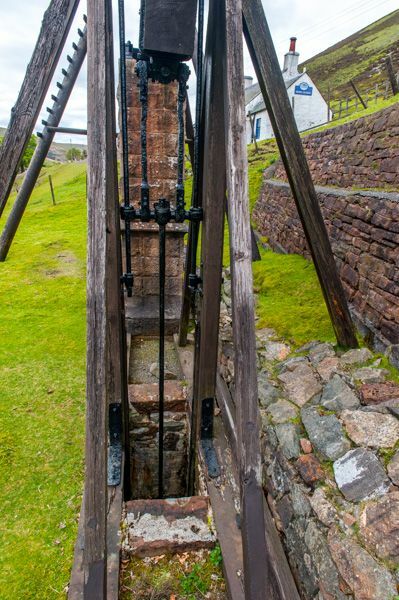 At Wanlockhead you can see a 19th century water-balance pump used to drain the nearby Straitsteps lead mine. The Beam Engine was built in 1875 and remained in use until 1945. 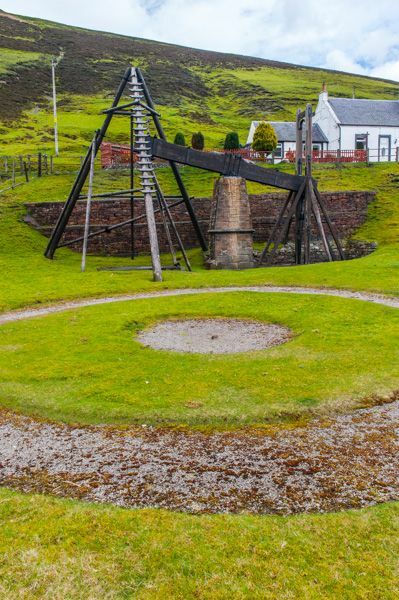 It was then restored by Historic Scotland but is maintained by the local Wanlockhead Museum Trust, who run the nearby Scottish Lead Mining Museum. 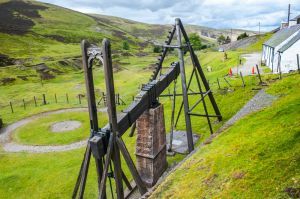 The earliest beam engine at Wanlockhead was introduced in 1745 in an attempt to create a sort of perpetual motion machine that would keep water out of the mines and allow miners to continue working. 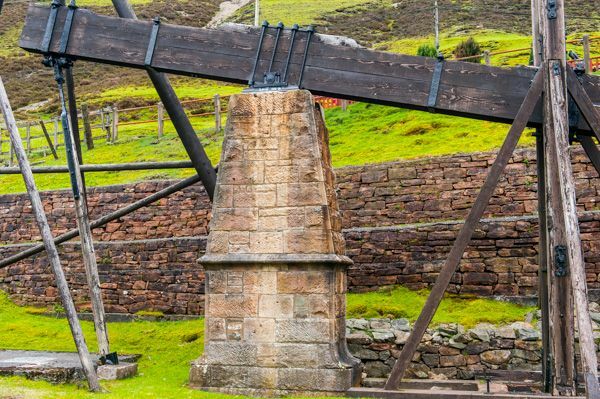 No 18th-century engines of this type have survived, however, and the Wanlockhead example is the only pump engine driven by water buckets in Britain. The engine pumped water from the lowest levels of the mine to a side tunnel which fed into a stream. In a curious twist of logic, the engine was itself powered by water collected in a tank above on the hillside and piped by gravity to one end of the engine. There it filled a wooden bucket linked to the beam by an iron rod. When the bucket was full of water its weight would pull the pump rood up the shaft. When the water bucket hit the bottom it released its load of water and was pulled up to the surface again by the pump rods. 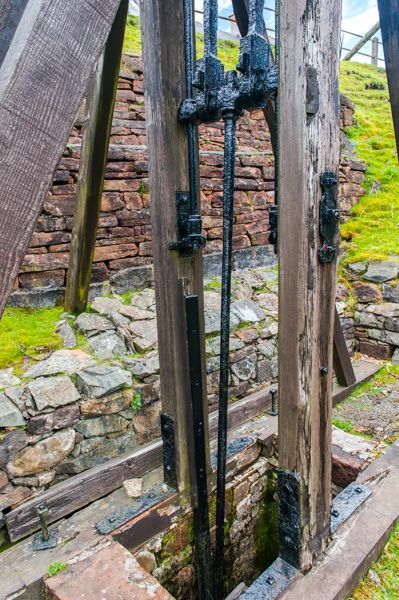 The action of the pump rods rising and falling operated the water pump at the base of the mine. It was an ingenious method of using water power to clear water from the deepest part of the mine operation. Engines like this were dubbed 'Bobbing Johns', and were used in both coal and lead mines until the advent of steam engines made them obsolete. Beside the engine mechanism is a wide circular path worn onto the ground. This marks the spot where a wooden 'gin drum' mechanism was mounted, turned by a horse walking around and around the circle. The drum was attached to a vertical shaft used to raise pump parts for maintenance. 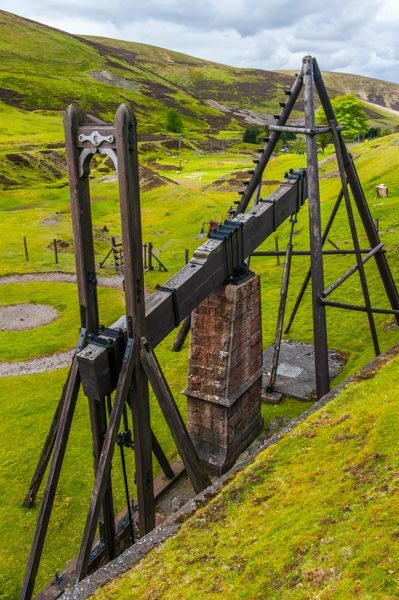 The Beam Engine is just part of a fascinating industrial landscape around Wanlockhead village. 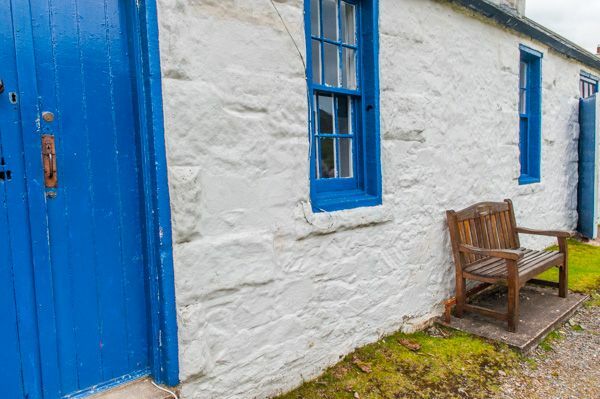 Immediately beside the engine is a row of restored miner's cottages, and a short walk away is the Lead Mining Museum, which also offers tours of an old lead mine and the miner's cottages. Above the museum is Wanlockhead Library, one of the oldest subscription libraries in Britain, set up by the miners to better their own education. At the Beam Engine is an information panel showing how the engine worked, but for an even better idea visit the museum where they have a fully functional working model. You can see the Beam Engine at any time - indeed, it won't take very long at all - but I suggest you do what our family did and visit the museum, take a mine tour, and visit the Library to get a real sense of what life was like for the miners and their families. 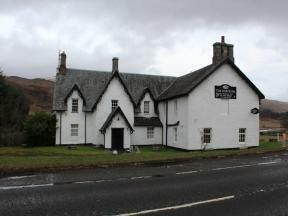 I'm not always drawn to industrial heritage sites, but I found Wanlockhead absolutely captivating.